Computer gaming is the one the most interesting hobby to many people in this world. As someone who spent countless hours in his youth playing Doom, Street Fighter II and other effective ways of making time speed up, I really want the link between computer gaming and enhanced cognitive functioning, which I’ve mentioned before, to be true. It would validate every hadoken, justify every gib. But although the evidence is promising – encouraging even – it’s not quite there yet. Walter Boot, Daniel Blakely and Daniel Simons published a review in 2011 pointing out the distance we have yet to go before we can be sure about StarCraft’s place in our cognitive training routine. Firstly, we have the problem of demand characteristics in some of the non-experimental studies — the ones that take a group of gamers and compare them to non-gamers on various cognitive abilities. Gamers need to come out on top here to even consider video games as cognitive enhancers, of course, but even if they do, it doesn’t mean that games are causing the difference. Perhaps the gamers had these cognitive advantages to begin with, and that’s why they take so well to the games. Or perhaps they were more motivated to perform well during the testing. Many such studies specifically advertise for experienced gamers. Other research has shown that if you think you’re likely to perform well on a certain task, you’re sometimes more likely to do so. This problem is particularly relevant when you consider that many gamers will be aware of the news reports linking gaming to cognitive enhancement, and may have some idea that this is what the researcher is testing. The way around this is normally to do an experiment — take a group of people, preferable non-gamers, and give them a battery of cognitive test. Then randomly split them into two groups, tell one group to play video games for a few weeks and the other group not to, then give the same tests again. You’ll then see if the video gamers have improved relative to the non-gaming group. But the same problems exist as with the non-experimental studies. The gamers know they have been gaming and might deduce that they are supposed to perform better on the cogntive tests in a follow up. This is why placebo control groups are used — both groups would play video games, but the placebo group would play one that is not expected to bring any cognitive benefits, usually a slower paced game like Tetris. However, if the tests used more closely resemble the action video game than Tetris, you can make the case that the expectancy effect is still in play. The design of the experiment is not sufficient to pry the two possibilities apart conclusively (for example, by asking participants whether they expected to improve, although even this has it’s own problems), even though it might make more sense intuitively that the video games are working. Further muddying the waters, some studies have failed to find a difference between gaming and non-gaming groups in both experimental and non-experimental tests. 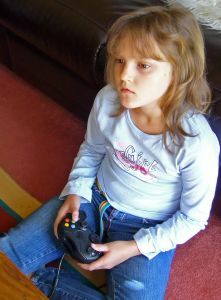 If gaming has any chance of non-domain specific cogntive enhancement, the results could be used to help fight age-related cognitive decline, help people in their personal development (working memory may be more closely linked to academic success than IQ), and give teenagers the world over valid excuses not to get off the PlayStation. So it’s worth spending the time andmoney getting to the bottom of this. Now if you’ll excuse me I have to go play Call of Duty. For science.